Neural Therapy is a gentle healing technique developed in Germany that involves the injection of autonomic nerve ganglia, peripheral nerves, scars, glands, acupuncture points, trigger points, skin and other tissues with local anesthetics (procaine or lidocaine). This acts as a superficial nerve block which calms down the nerves and their painful stimuli being sent from various areas. Virtually every bodily function is under autonomic nervous system (ANS) control. The ANS affects things such as pain perception, blood pressure, smell as well as blood circulation. According to Ferdinand Huneke, M.D., the founder of Neural Therapy, there can be “interference fields” that cause dysfunction of the ANS & therefore our organs. 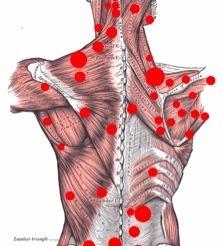 An interference field is any pathologically damaged tissue, which acts as a stimulus to the ANS. Neural Therapy works by injecting local anesthetics into these interference fields, thereby stopping an abnormal stimulus from affecting the ANS. Essentially any physical trauma can produce the long-standing disturbances in the electrochemical function of our tissues. Neural Therapy corrects the dysfunction in the ANS by stopping the interference field. Once this occurs the organs & glands, body tissues can function better, eliminating chronic disease conditions. One possible explanation for this improvement is that Neural Therapy actually increases the circulation to the injured organs including the thyroid, adrenal, liver, or kidneys. Can Neural Therapy help relieve Chronic Pain? YES!…more and more medical research in regard to chronic pain is implicating the autonomic nervous system as a cause of pain. Neural Therapy, by assisting the autonomic nervous system to function properly, helps relieve and cure chronic pain by normalizing baseline pain thresholds regulated by the ANS. In other words, it’s calming down or resetting the nervous system. It is often used together with treatments (like Prolotherapy) when there is both musculoskeletal and ANS problems involved in chronic pain. © 2018 Longevity Medical Institute | All Rights Reserved. Powered by The Chase Design.